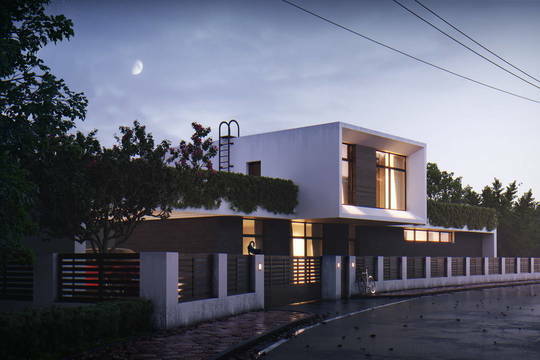 The winners of the contest of environmental design "Comfortable house". Today we have summed up contest "Comfortable house". Thank you to everyone who participated in this contest, congratulations to our winners! All laureates of the contest are awarded with diplomas of the International Association VATIKAM. The works of three authors with the highest number of votes will be posted on the main page of the site in form of banner for the period from 1 to 31 October 2016. 3rd place Maxim Lyubetsky (Russia, Sochi) - 3 votes. MAKDesign (Ukraine, Kiev) – 4 votes. 1st place Elena Panina (Russia, Shchyolkovo) – 4 votes. For the project "Modern Art Nouveau" designer Vera Nikitina (Russia, Saint Petersburg) is awarded with special diploma "For the comfortable interior, embodied in life." Ekaterina Shcherbakova (Russia, Saint Petersburg) is awarded with special diploma "For the most positive project of comfortable interior." Vitaly Bigich (Ukraine, Krivoy Rog) is awarded with special diploma "Painting in the interior". We wish creative achievements to all participants of the project VATIKAM! We offer you to share your ideas and participate in the new contest "Comfortable house"! For the contest it is accepted architectural projects, works on landscape design, interior design projects of residential and public premises. Contest of environmental design "Comfortable house"